Ingredients derived from nature include propolis, cetyl esters & cetyl cocoamide. Contains the rarer white grade carnauba. Provides increased clarity and depth of colour. Provides protection that polishes do not. No white residue or buildup along seams. Italian cars have very special needs when waxing. 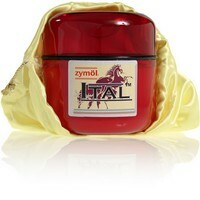 Ital 2009 Glaze is specially formulated to protect and enhance the relatively soft paint finish of the Italian car. Developed in cooperation with Ferrari North America, Ferrari Italy and Pininfarina, Zymol Ital Glaze(wax) provides a clarity and depth of colour generally not found in the original paintwork. Suitable for all paint types and colours. Ital Glaze contains 47% Brazilian No.1 Yellow and White Carnauba by volume (90% Yellow, 10% White). You may also wish to consider the following waxes containing higher levels of carnauba for increased durability, added depth and reflection; Zymol Concours Glaze, Zymol Destiny Glaze, Zymol Atlantique Glaze, Zymol Vintage Glaze & Zymol Royale Glaze. The wax is also available as a Zymol Ital Glaze Starter Kit or Zymol Ital Wax Complete Kit. Zymol waxes are actually "enzymes" that turn into wax when exposed to air during application on your paint surface. A special wax for my Alfa Romeo 159!